Exoplanet found… from another galaxy!! 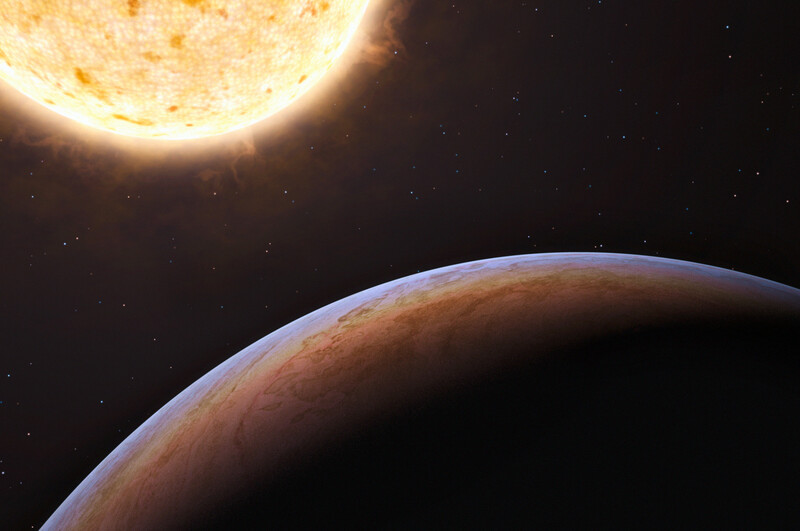 Today, astronomers announced that they have found a new exoplanet, a planet orbiting another star. Nearly 500 exoplanets have been found in the past 15 years, so what’s the big deal, you may ask? The big deal is that this planet and star are from another galaxy! There is a whole lot of coolness going on here, so strap in. OK, first, this planet is in our own Milky Way galaxy. The star, called HIP 13044, is about 2000 light years away, well inside our galaxy. So how do we know it’s from a different galaxy? All the stars in our galaxy orbit the galactic center, like planets orbit around a star. But many years ago, astronomers noticed that many stars in the sky have the same sort of motion as they orbit, as if they all belong to streams of stars, flowing like water in a river. Many such streams exist, and eventually astronomers figured out that these were the leftover remnants of entire small galaxies that had collided with, been torn apart, and basically eaten by our Milky Way. HIP 13044 is part of one of those streams, called the Helmi Stream. It’s the remains of a dwarf galaxy the Milky Way tore apart probably more than 6 billion years ago. So the star and its planet formed in an actual other galaxy, one that either orbited the Milky Way or had an unfortunately too-close pass to it. Either way, wow! And there’s more. HIP 13044 (labeled in the image here) is very old, being part of a galaxy that was eaten at least 6 billion years ago, if not more. And in fact, careful observations have shown that it’s in a more well-advanced stage in its evolution than the (4.5 billion year old) Sun is: HIP 13044 has exhausted its supply of hydrogen in its core, and is currently fusing helium into carbon. The Sun will be at this stage too, but not for another 6 billion years! What this means, though, is that the star is already past its red giant stage. As it was running out of hydrogen in its core, it swelled up hugely, and the surface cooled. It may have had a diameter of a hundred million kilometers or more, so we call stars like these red giants. That’s important because the planet found orbits the star extremely close in, only a few million kilometers from its surface. That means not only did this planet survive the red giant phase of its parent star, the star almost certainly engulfed the planet in the process. That’s right: this planet from another galaxy also spent hundreds of thousands of years physically inside its star! Holy wow! What a life this poor planet has had. It probably formed some distance out from its star. As it formed, it moved closer to its star as collisions with other objects and the drag it felt plowing through the disk of material from which it formed robbed it of orbital energy. Eventually, it settled into a nice, stable orbit. Then, a couple of billion years later, a huge spiral galaxy loomed in its sky. Over millions of years that galaxy drew larger, and larger, and larger, and then aiiieeeeee the planet’s host galaxy fell right into it, getting ripped apart, and forming a long, long stream of stars that flowed around the cannibal galaxy’s core. If that weren’t enough, a few billion years later, the planet’s star began to swell. It filled a tenth of the sky, then a quarter, then half… and still it didn’t stop. The planet became engulfed, enveloped, as the star expanded past the planet itself. The outer regions of the star were exceedingly thin, almost a vacuum, but the effects were devastating. The atmosphere slowly started boiling off the planet, and the planet’s orbit spiraled it down toward the star’s core. Before the planet could be totally destroyed, the star ejected its outer layers, and the core settled down to fuse helium. 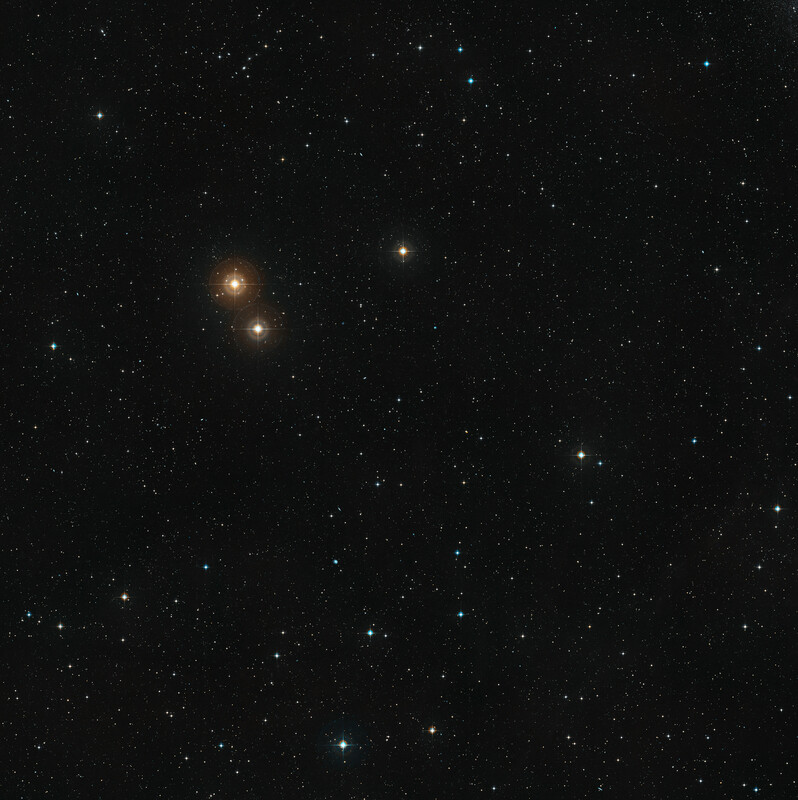 And now, so many eons later, here is what we see: an aged giant star, orbited by a battered, cooked planet, part of a procession of other stars torn from their galaxy. The implication of this star and planet is important as well. In the early 1990s, we didn’t know how common planets were in the Milky Way. We only had ours to look at. But then in 1995, planets were found orbiting stars like the Sun, and 15 years later we can estimate than a large fraction of all the stars in our galaxy have planets. There may be hundreds of billions, trillions of planets in our galaxy. But other galaxies are way too far away to detect planets in them. We can guess the conditions there are similar to here, but in a sense that question put us where we were before 1995: we could guess, but we couldn’t know. Now that’s changed. We know. We know planets can form around stars in other galaxies. And that means that when we broaden our view, look not out into the galaxy but out into the Universe, we can know that there are not just trillions of planets out there, but billions of trillions. Each galaxy we see may have trillions of planets, and there are hundreds of billions of galaxies in the Universe. When I think of all the knowledge we’ve acquired over the centuries, all the amazing things we’ve learned, I have to say that perhaps the most incredible is that the Universe is packed full of planets, worlds beyond measure, too numerous to count. When we look out into the night sky, they’re everywhere. Too distant to see, yes, and certainly too distant to visit. – Is the Sun from another galaxy? – Lonely galaxy is lonely. But it ate its friends. – Exoplanets survive their star’s fiery death. Or were they born from it…?